Bring personality and character to a transitional space with this metal LED night light table lamp. 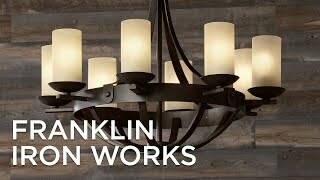 Artisans at Franklin Iron Works™ paid close attention to a visually enticing transitional motif as they created this metal table lamp. Classically neutral finishes complement a burlap shade and a mesh geometric body. An energy-efficient LED nightlight and a flexible four-way switch rounds out the host of features in this classic metal lamp. Overall: 27" high. Shade is 14" wide at the top x 15" wide at the bottom x 10" high. Includes one 7 watt amber Edison style LED bulb for night light, equivalent to a 60 watt incandescent. Includes 2A USB port. Metal table lamp with energy-efficient LED night light and USB port from Franklin Iron Works™. Recently updated our family room furniture and wanted something unique to accent the wood and iron tables. This lamp is different and beautiful. I really liked the idea of the night light. The USB is a nice little added bonus. It wasn't a requirement, but it'll come in handy. I recently purchase a Halvor Ceiling Light, and I like how the are similar in design. Our dogs broke our other table lamp and I wanted something that was a little bigger and sturdier, plus this goes with our decor better! How wide is the base of this lamp? BEST ANSWER: The square base measures 7 5/8 inches. Does this lamp have a bronze finish? BEST ANSWER: Per the manufacturer, the metal has a black finish. What does each setting of the 4-way switch do? BEST ANSWER: This has a 4-way switching feature. Turn the switch once (night light on), second time (top light on), third time (both lights on), then off. Does the burlap shade have a gray tone or sand tone? BEST ANSWER: Hi Brenda - More of a sand tone than gray, but please note that the color of the lamp shade may seem to change depending on the color temperature of the bulb you use. Can you tell me the height of the on off switch from the bottom of the lamp please? Thank you. BEST ANSWER: Hi, the switch is located on the socket assembly, roughly 17" high. BEST ANSWER: Hi - I can confirm the overall height measures 26 3/4" high. 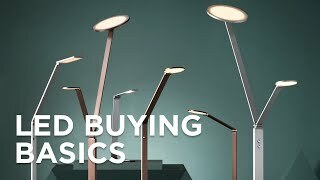 Great looking lamp and the USB port is a real plus! Love this lamp! Looks great! Love the night light in it! Definitely recommend it! A galvanized metal finish gives this nightlight table lamp a beautiful worn look that complements the overall vintage lantern-style design. A nightlight adds versatility to this V-shaped table lampmaking is a perfect choice for a bedroom nightstand. The cerulean blue agate slab base of this contemporary table lamp has a night light inside that glows through the translucentnatural mineral. An energy-efficient LED night light feature makes this traditional table lamp a stylish and functional choice for any room.